Oh, so you are trying to send yourself to Abu Dhabi again? The first four times you attempted, there were issues. 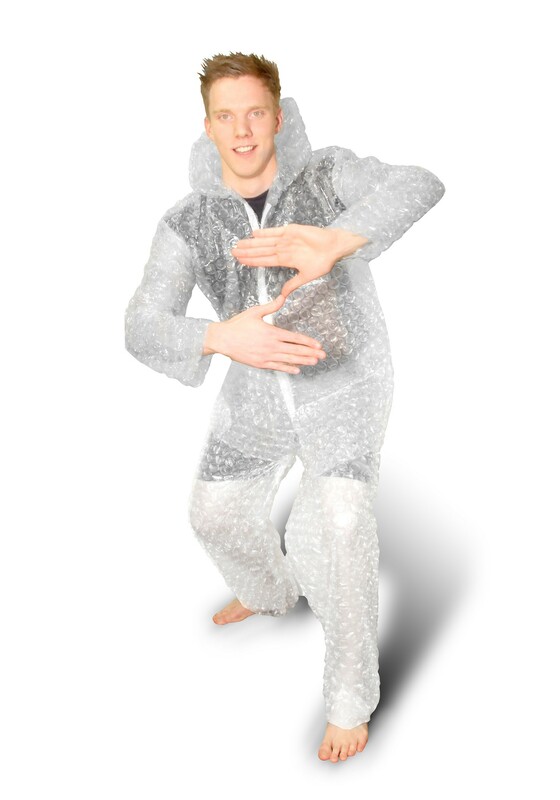 Maybe if you use this Bubble Wrap Costume, you'll be successful... finally (insert evil laugh here). You can also wear this costume if you happen to be accident prone. If you take a digger, the bubble wrap will save you from any scrapes and bruises. Basically, this costume is totally 'poppin'! (We would also like to state that we highly recommend that you don't ship yourself anywhere...ever! ).